I received a small stack of very helpful brochures from Shaws’ Dietician, Jennifer Shea. It includes tips of what and when to eat during intense training and competition to maximize performance. I am posting part of the brochure here, but just leave me a comment with your mailing address if you want a copy. I have about a half dozen. 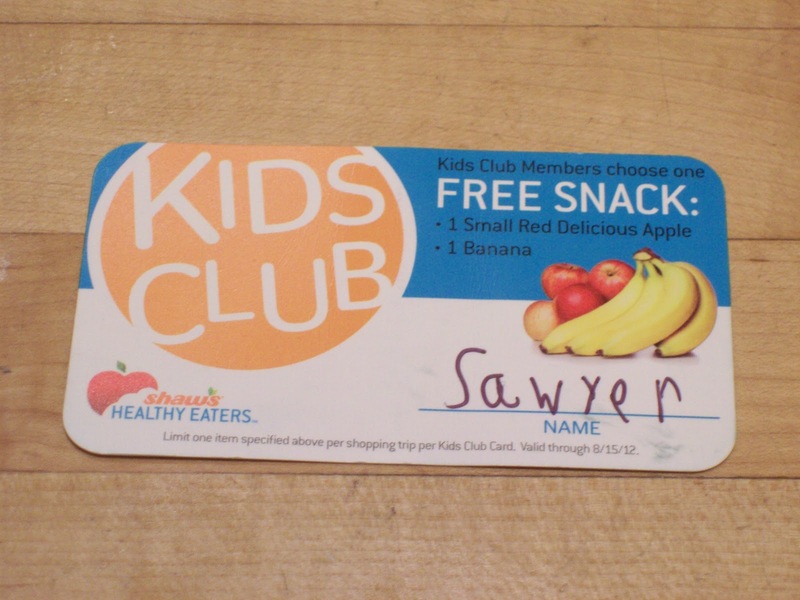 She was also kind enough to include 4 coupons for Shaw’s Kid Club, good for a free healthy snack (small Red Delicious apple or a banana). I will include one coupon for the first four requests. 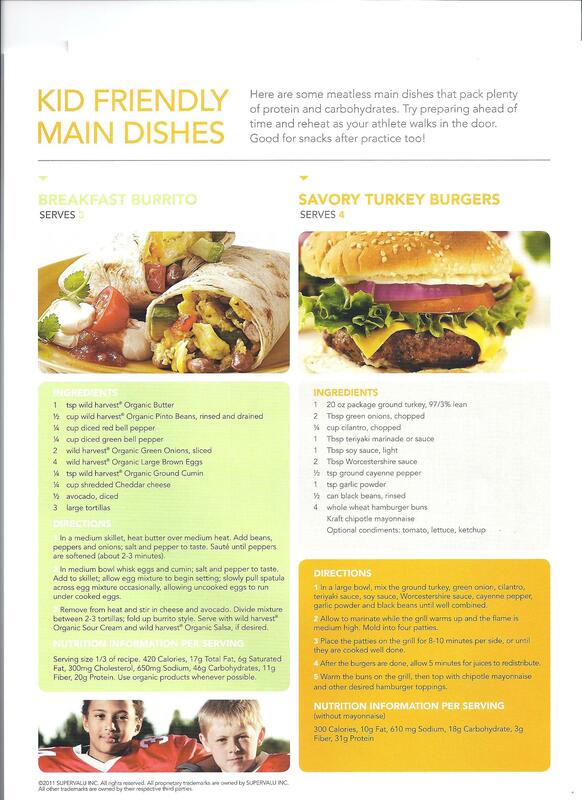 There are also two great healthy recipes for Breakfast Burrito and Savory Turkey Burgers. I’ve had Jennifer Shea’s food before; it’s delicious! Please leave a comment with your address if you want the brochure and coupon! Which Shaws do you shop at? Mine is the Auburndale one. You are using my photo from this post: http://www.moneysavingmaineac.com/2011/11/shaws-kids-club.html. Please post a photo credit under the picture and a link back to my post.